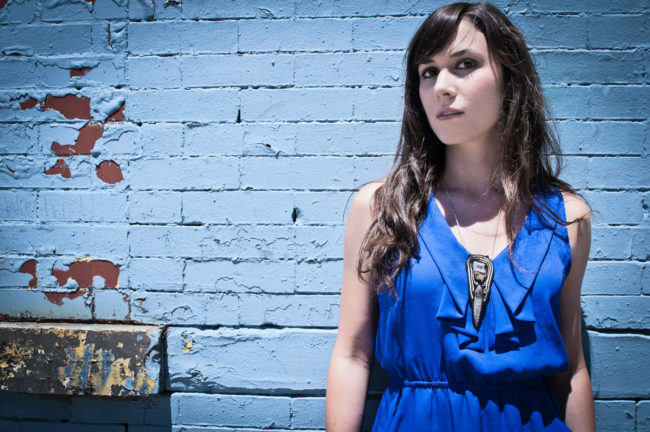 Throughout the better part of the last decade, Sarah Lipstate’s scope has steadily widened for her guitar-based project, Noveller. More often than not while listening to her music, it is fascinating and hard to wrap your head around the fact that the cinematic realm of the records is built entirely around the electric guitar – and by one single person. There are specific stretches – on efforts like Glacial Glow or Fantastic Planet – that are so stunningly realized and well-formed that it almost disturbs those of us who have listened to her for a long time. Disturbing in the way of “Why isn’t this artist a household name by now?”. Arriving this past week is her eighth full-length, the pulsating A Pink Sunset For No One. Her otherworldly constructions have never felt more like a director; not only behind the boards, but behind the camera. It should come as no surprise to hear that Lipstate is also a filmmaker in her own right, and listening to the cavernous hums and swirling guitars, here, only makes you hope that she’ll release a companion movie at some point in the near future. Noveller’s records have always been best experienced on a quality sound system in a confined space, or at the very least with a good pair of headphones latched onto the ears. The nine tracks on this record simply call for this type of experience, and if you allow it to be unveiled this way then it will be significantly more rewarding. A Pink Sunset For No One is the finest effort yet from one of the more under-appreciated instrumental acts in all of music. By continuing to push toward the more sprawling landscapes in her songs, Lipstate has made Noveller one of the more sonically captivating, immediate-imagery-painting projects out there.